The first time we went to Budapest was a frigid February weekend. Living in Germany, I tend to get the mid-winter blues and need to just get away. Even though, we weren’t going any place warmer, it was different and exciting. It was so cold! There seemed to be a permanent layer of frost on every exposed surface in the entire city. We spent a good portion of the weekend seeing the city from inside a warm trolley car or sitting in cafes warming up. It was time to go back, this time in the summer, and take a dip in the famous spas of Budapest. 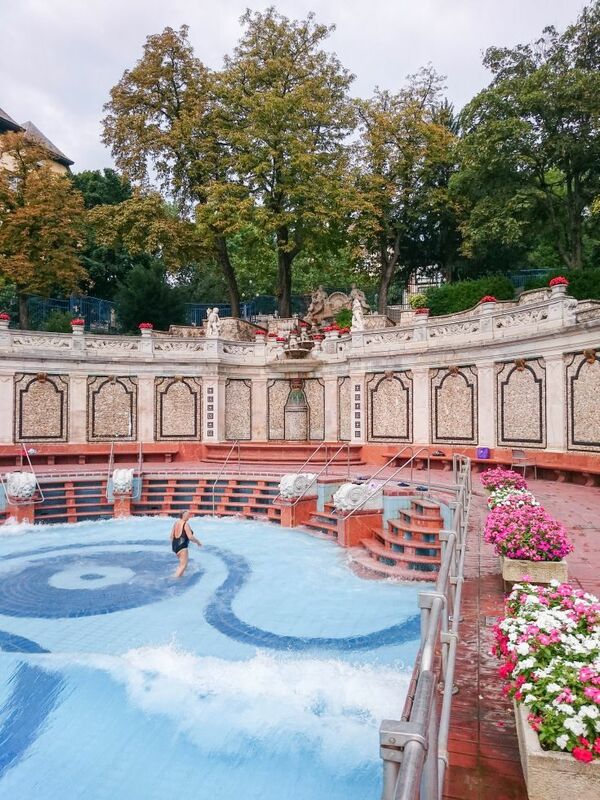 We chose to go to the Gellert Spa and we were not disappointed. 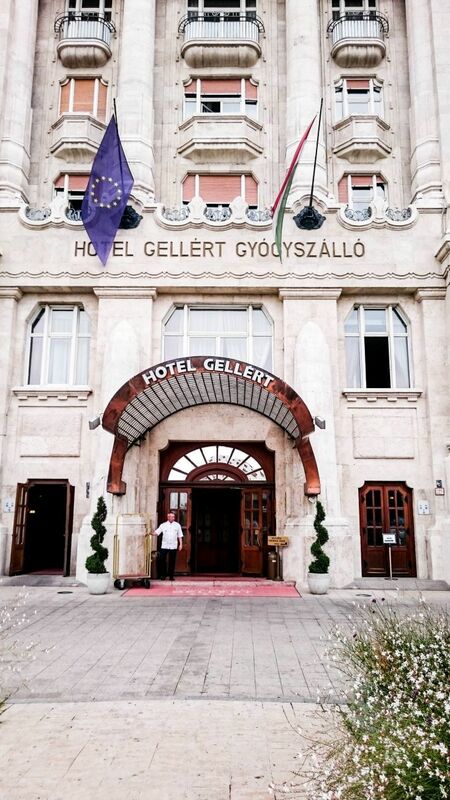 Pin the Gellert Hotel and Spa to help you plan your trip to Budapest! One of the things we wanted to do is visit the famous baths. 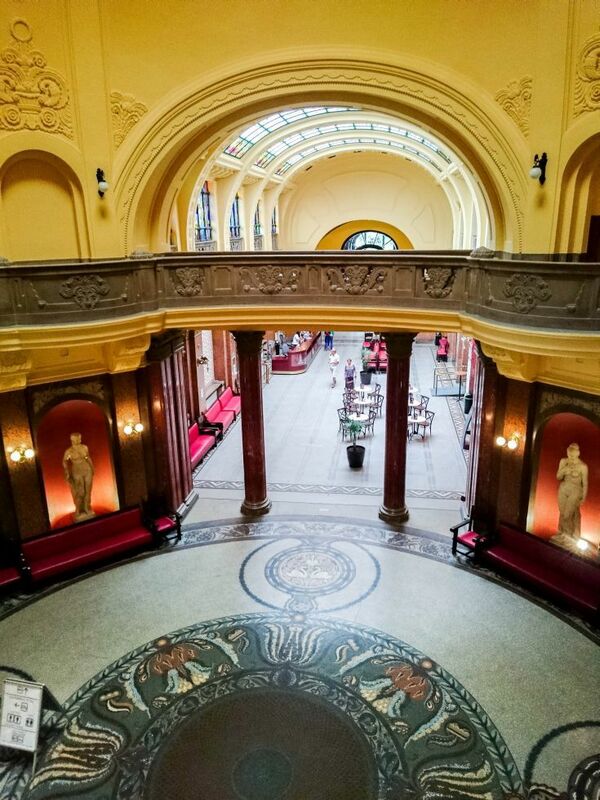 We entered the Széchenyi bathhouse to take a look around. Even after living in Japan where we took weekly baths wearing nothing but our birthday suits, we were still a bit out of our comfort zones. On our first trip, we peeked through the frosty windows promptly left. Between the extreme cold and the uncomfortableness of not being sure what Hungarian bath etiquette was, we couldn’t do it. We have regretted that decision ever since. 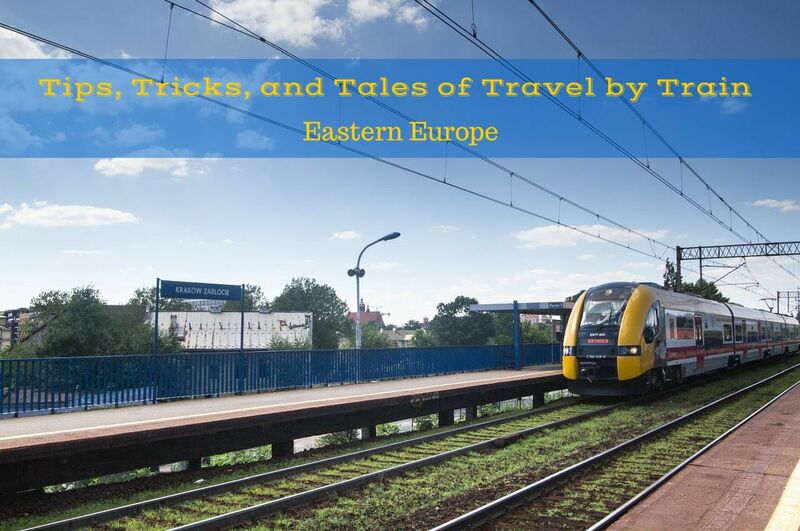 We made sure to include it on our trip when we were traveling east on a Eurail pass. We decided that no matter what else we did, we were going to do the baths. 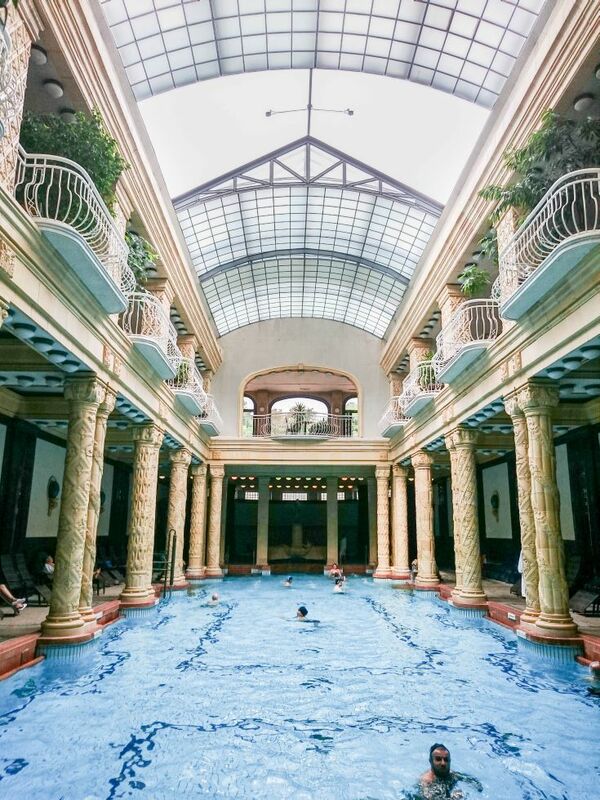 We were so determined that when booking our hotel, Jim found one that was a Budapest classic, the Danubius Hotel Gellért, which included a free entrance into the Gellert spa. Done deal! As this was now August, taking baths sounded much more palatable, but it wouldn’t have mattered if it was raining, sleeting, earthquaking…we were getting in that bath! 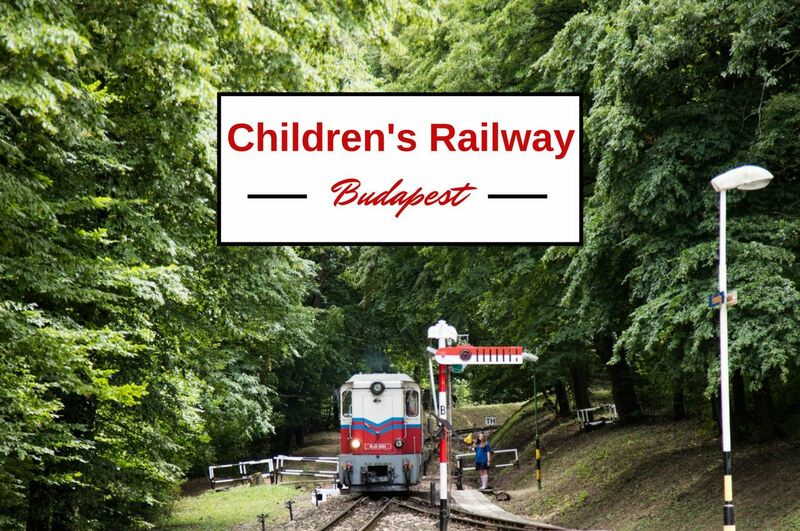 We loved our train trip up to Budapest, but riding a train all day, especially in places like Slovakia, it got a little gritty. I was certainly ready to get good and clean. To be honest, we weren’t any more comfortable with the etiquette and surprisingly entering from our special hotel side, didn’t make it any easier. We found ourselves tentatively looking for the door, then we walked in a deserted hallway, side-stepping electricians working on lights, and finally made it to our concierge who promptly wrist-banded us and sent us on our way. We march up to the Gellert desk and they give us each a key for our lockers and towels.Guess what they don’t give you? And guess what we as last minute packers forgot? Swimsuits! Can you believe it? Going to the baths was one of our main goals on the trip, and yet we had no suits. According to the assistants, though, this was no problem. They had suits for rent. The problem is there are no rental suits that fit my….statuesque body. I borrowed one to use for bottoms and wore my shirt and bra on top. They were okay with that! 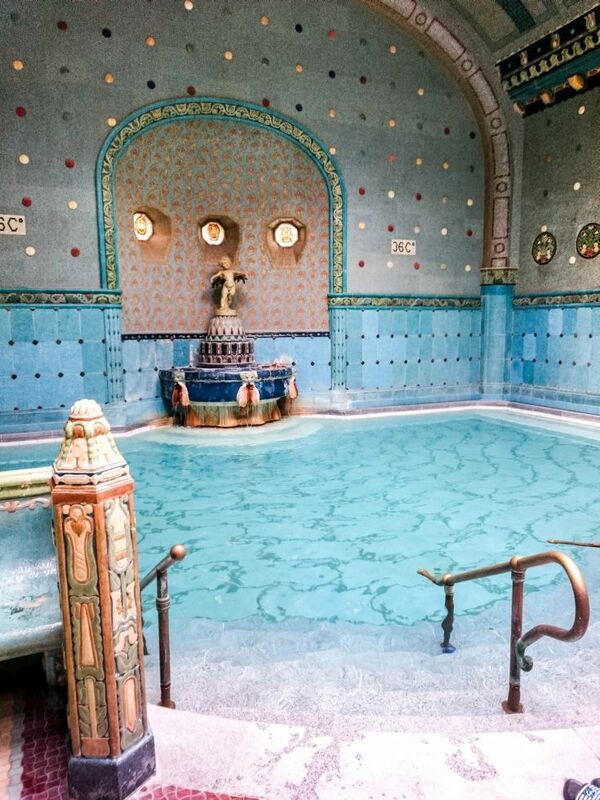 The history of Gellert spa in Budapest goes as far back as the 12th century. People seemed to always know about the caves with healing waters, but it wasn’t until 13th century that the first building was erected to put them to use, and the spa is mentioned in written history as far back as the 15th century. Known to calm the soul and have miraculous healing powers, there has never been a time when they weren’t popular among the elite. By the 19th century, foreigners were drawn to the city, just like us to experience the waters, and more buildings were added for the enjoyment of the guests. With construction due to the building of the Liberty bridge, a new design for Gellert Spa was accepted using royal Art Nouveau style. The interior is stunning, and it makes you feel like you are one of the Budapest elite. Our hotel deal was one day pass, so we started as early in the morning as we could. There were some regulars there, who come for their daily laps or a steam and a chat with their buddies, but tourist-wise it was slow in the morning hours. We explored, we swam, we marveled, and we enjoyed the wave pool which we were surprised to learn had been there since 1927! The waves were quite strong, too. 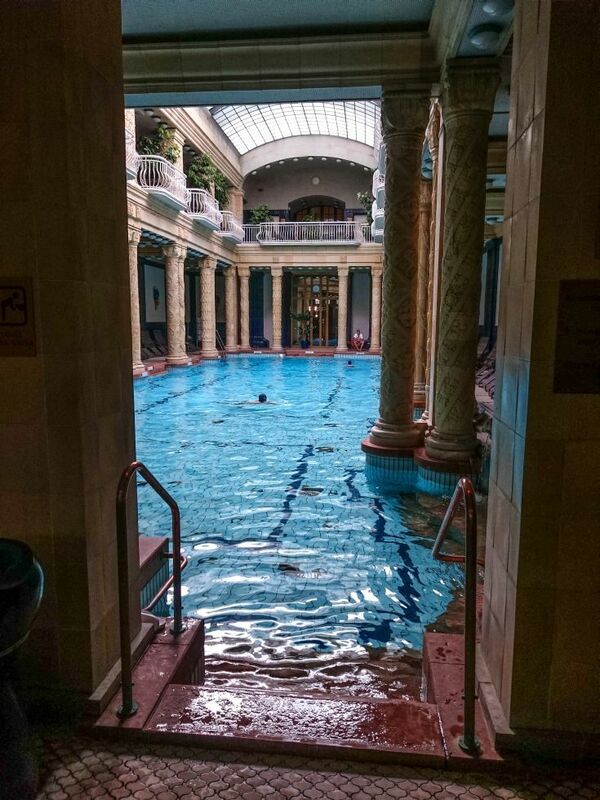 A relaxing day, we loved the Gellert Spa. So, if you find yourself in Budapest, go to the baths! Book your next stay at the Danubius Hotel Gellert right here! We trained into Budapest and took the subway right to the hotel. The metro stop is Szent Gellért, so it’s easy to remember. There is also a bus stop and boat ferry stop right there. It couldn’t be more convenient. The hotel also has parking if you’re arriving by car. Remember, we stayed right there at the Gellert Hotel so we had free entry into the spa, but for more information about tickets, events, rules, or anything else I would go directly to the Gellert Spa website. I’m so sorry I missed this when I went to Budapest. It looks amazing! Stephen, That is exactly why we went back! Soooo….how were the baths?? I’d imagine your experience was magical. the baths are beautiful. I can’t believe you forgot your suits though, I suppose excitement des that to you. Rachael, It’s funny looking back on it. We loved the baths…so relaxing! Wow. It looks absolutely beautiful. I’m going to Budapest this June hopefully and will be adding this to my list! If you don’t, I warn you, you’ll have to return! I’m excited to hear about the baths! I’m planning to go to to Budapest for the first time this summer and will be in need of some major relaxing! Think this will be there perfect treat 🙂 And the city looks so beautiful! Kaylene, Go to more than just one. We loved Gellert! Liz, You definitely should, or you’ll be heading back like me. Katy, Yes, do. Try a couple different ones. You’ll love it. Everyone wants to feel like royalty and those baths would really make you feel that way lol. I love the look of the places! Perrisha, Exactly….You feel like you are in a really special place! This looks so grand! Are they more like pools than baths? (or is that what baths are like in this part of the world) And is the water warm/hot? So curious! Ivy, Yes, I would say…pools. You shower to get clean before you go in, and you have swimsuits on. Wow — this looks amazing. 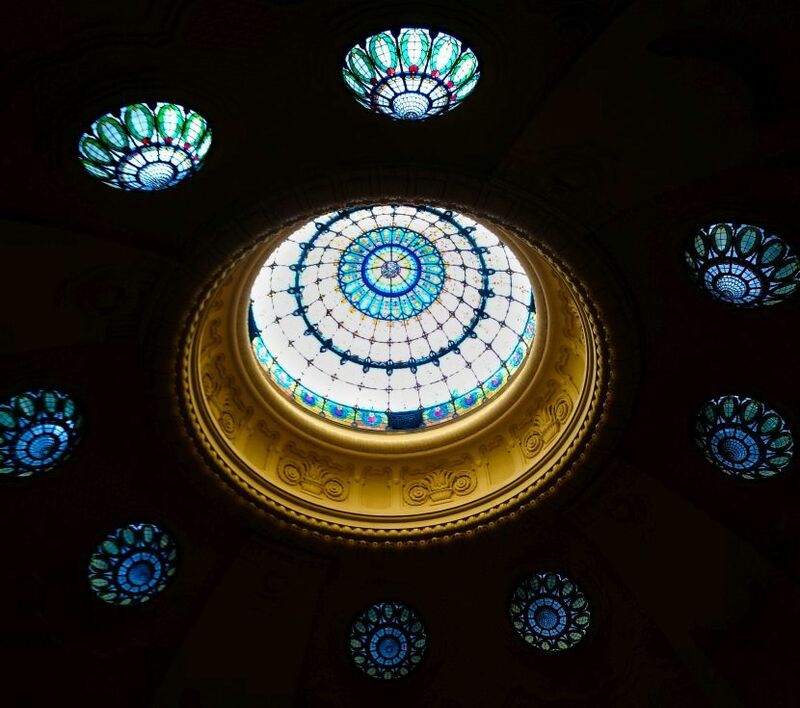 The architecture is stunning! 🙂 I’m sure it was a relaxing experience, too. Natasha, The art deco look really makes it feel old country luxurious. Beautiful! Kristina, Onsens, especially a rotenburo (outside), will forever be my favorites! However, Gellert was beautiful. I want to go to Szechenyi, too. They’re just addictive! This looks gorgeous!! 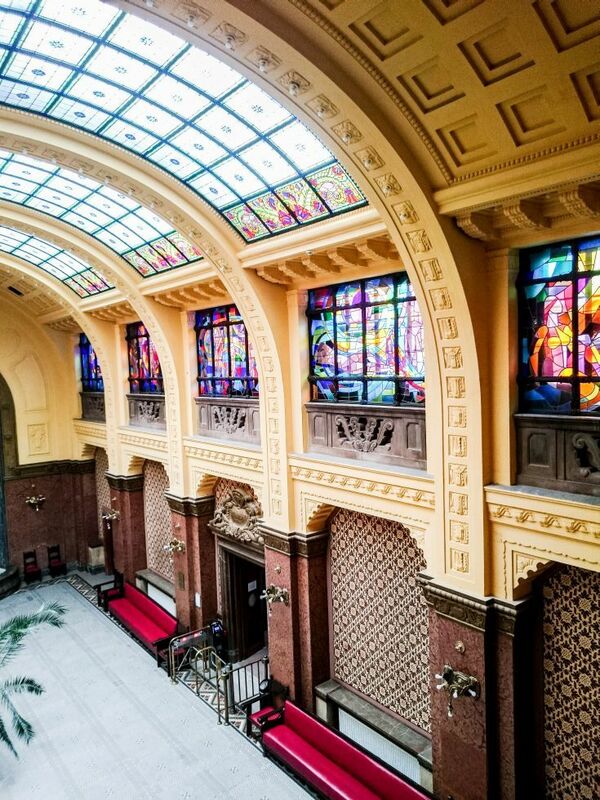 Is the Gellert Hotel what they modeled the “Grand Budapest Hotel” after in the movie? Kind of looks similar on the outside! You would never believe you had any of the foibles you had getting into the baths just by looking at the pictures! hahah! Eva, I know…luckily we were there early enough that there weren’t too many people around. I hope you make it there. It’s worth it! That is pretty amazing and very grand. Pinned to my Journey Destination Experience board. Lovely photography! Thanks Jan! It was a fun day! Noemi, It was the best way. You can go down with your bathrobe on! Sophie, If you have a chance, you should definitely go. You would love it. Good to know. That’s something we will surely do, when we visit Budapest. Kaci, Yes, I could use some spa or bath therapy right now, too! Oh, love the details on this place! It is great to learn about an option to the Széchenyi Baths. Looks like Budapest is good for bath hopping ;0) I always forget to pack a swimsuit. Not sure why. Ruth, I know. That darn swimsuit. When I do remember I never use it, when I don’t I need it. Great photos. 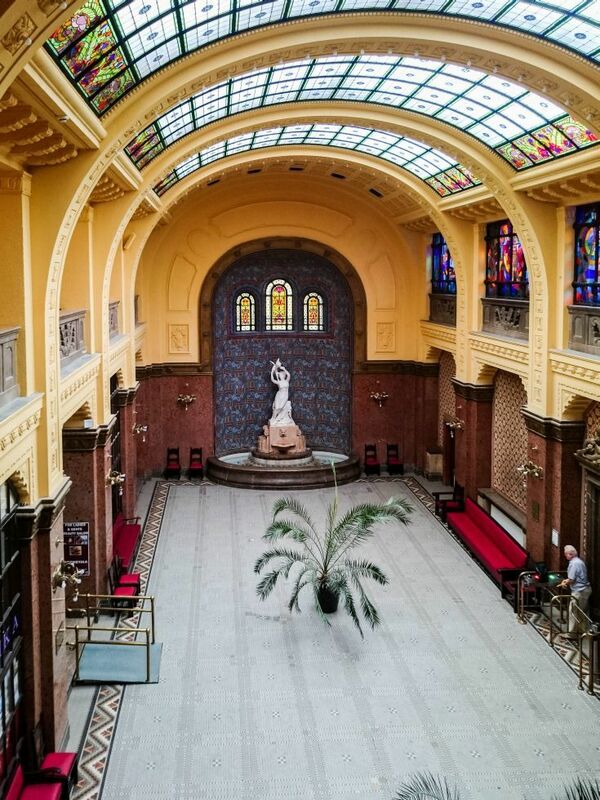 We were there last summer and visited Gellert and enjoyed the indoor pools especially. It wasn’t our favorite thermal bath though, we find the layout a bit of a labyrinth and service wasn’t very friendly. Our favorite was actually Rudas, the old Turkish thermal baths. Szchenyi is great too, especially on a warm summer day as the highlight are the outdoor pools. Frank, Well, we’ll have to try those next time. I do agree about the maze of hallways, but the staff was super-friendly to us, probably because I looked so pathetic without a bathing suit. What a gorgeous bath house!! I love all the vintage architecture. I was right there with you on the uncomfortableness. I just went to Hot Springs Arkansas and just couldn’t go to the bath house. Maybe next time. It sounds like a fantastic weekend trip. Your photos are beautiful!! Thanks Nancie. Yes, I’m always way too conscious of my body! Nancie, That’s funny, because we didn’t go the first time due to cold. This looks gorgeous, the architecture alone is worth the trip. Great pics! Jess, Yes, I agree. It really is a classic! Joy, And I really want to go to Szechenyi…I love the building! One of my enduring regrets is that I’ve missed going to a spa on both our trips to Budapest. Maybe next time. Tom, You must. If I can do it…anybody can! We missed these on our recent trip. We had considered staying at the Gellert but decided on a hotel on the Pest side of the river near the ferries wheel. How was the hotel? The main plus of staying in the Gellert is the benefit of having access to the bath outside of normal public hours and being able to walk down in your robe and suit. The hotel itself is nice, but some of the rooms are definitely due for a remodel. 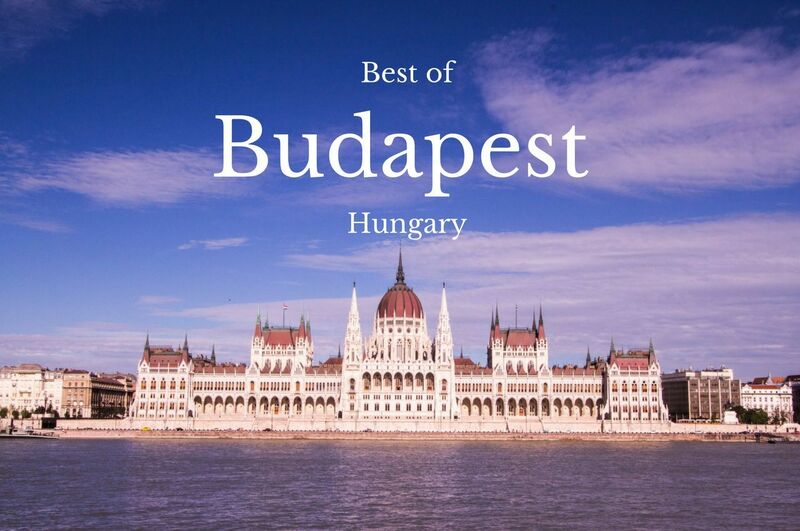 Having said that, we would certainly stay there again, and since Budapest is one of our favorite Eastern European destinations, we probably will.